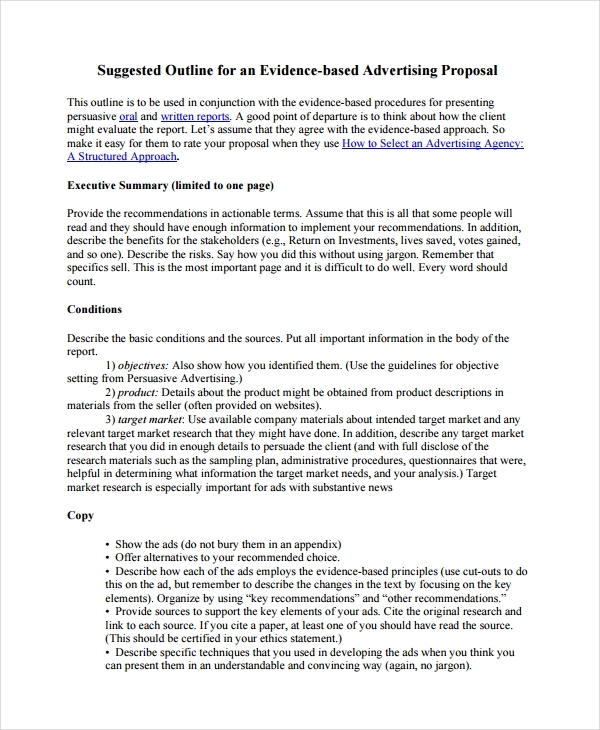 Writing the content of an advertising proposal is less technical when compared to the processes on how to write goals and objectives for your grant proposal. However, this does not mean that developing an advertising proposal is an easy task. There are also some factors that you need to consider so that you can ensure the effectiveness of the final proposal that you will develop. 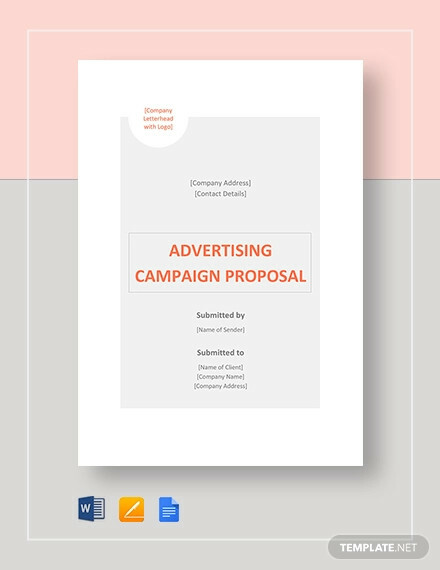 free proposal examples & samples can help you create an advertising proposal even if you have no experience in making one before. 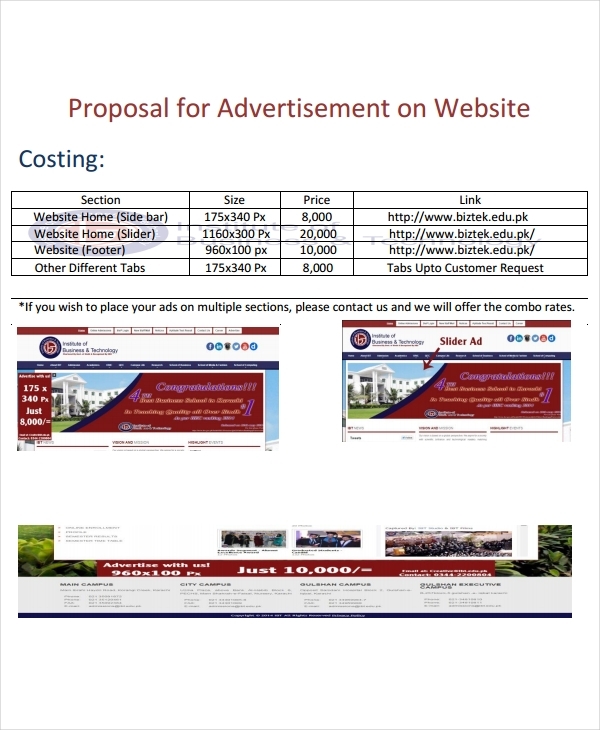 Just like budget proposal examples and other kinds of business proposals, always remember that your advertising proposal should present your idea and business offer in a professional manner. 1. 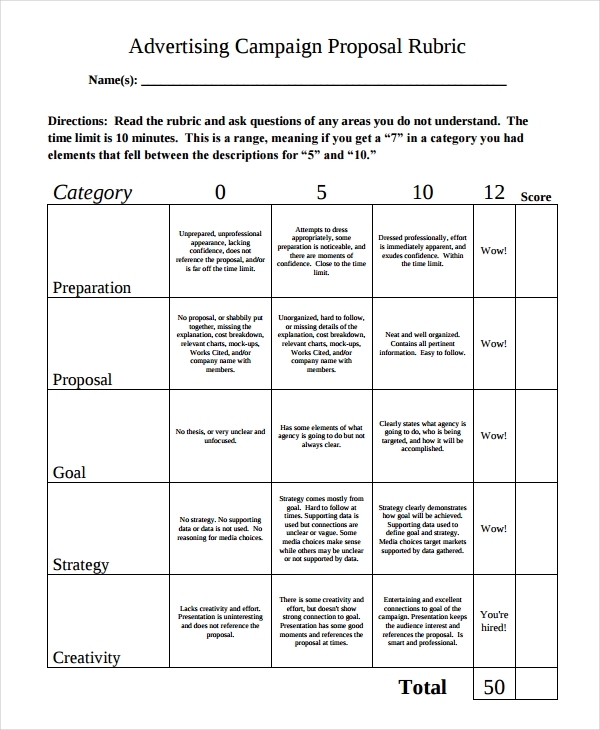 Create an overview of your proposal. This is an introduction to your offer or suggestion which plays a vital role in making your clients engaged with your pitch. 3. List down the objectives of the goal proposal and the goals and vision that you would like to achieve for them. Hence, you must present the expected output if your clients decide to seal the deal with you. 6. Give the cost that your client should prepare if they will the advertising transaction to push through. 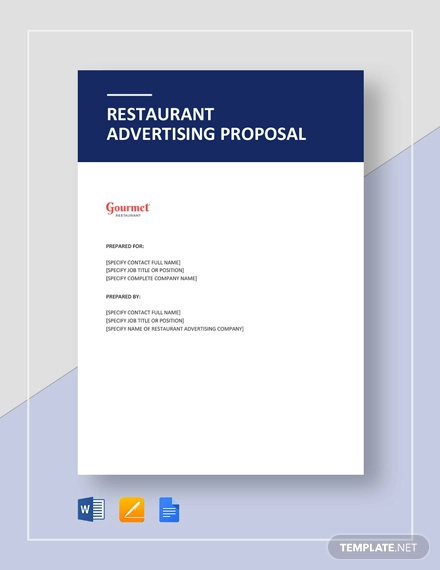 Just like service proposal examples and other kinds of Business Proposal Examples & Samples, your advertising proposal is essential to be created in an organized manner so that the clients can completely understand your point and the content of the material that you are proposing. 1. 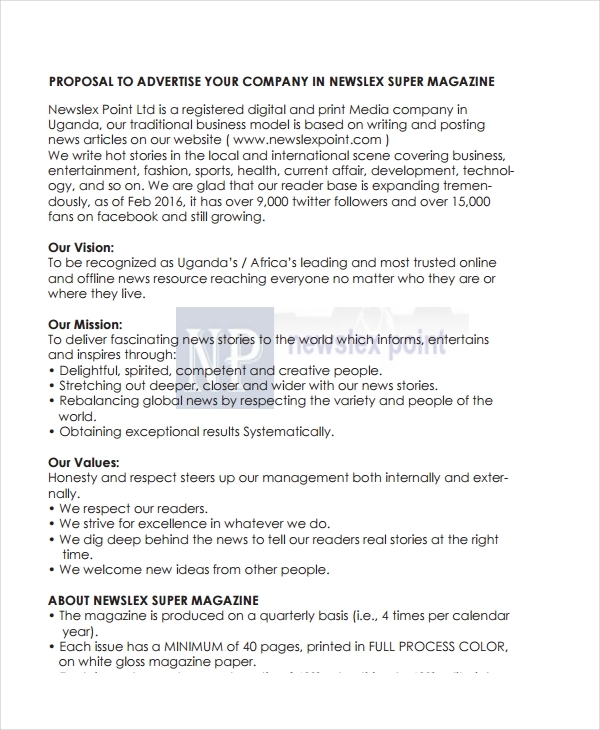 Ensure that your advertising proposal is direct to the point. 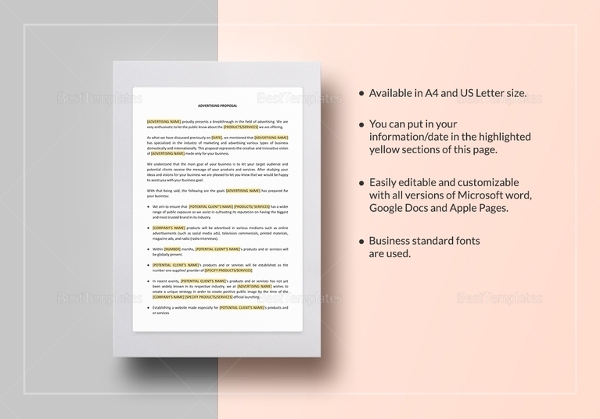 Discuss all the deliverable that you can provide and do not put any unnecessary items in the document. 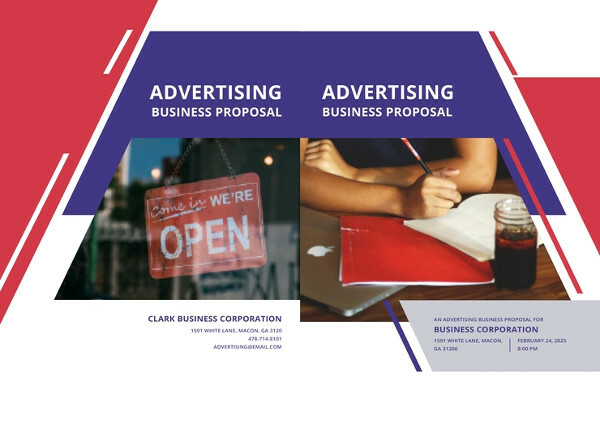 When making project proposal examples that specifically targets the offering of advertising expertise, processes, and activities you have to make sure that you can fully give focus on the output that your clients can expect from your business. 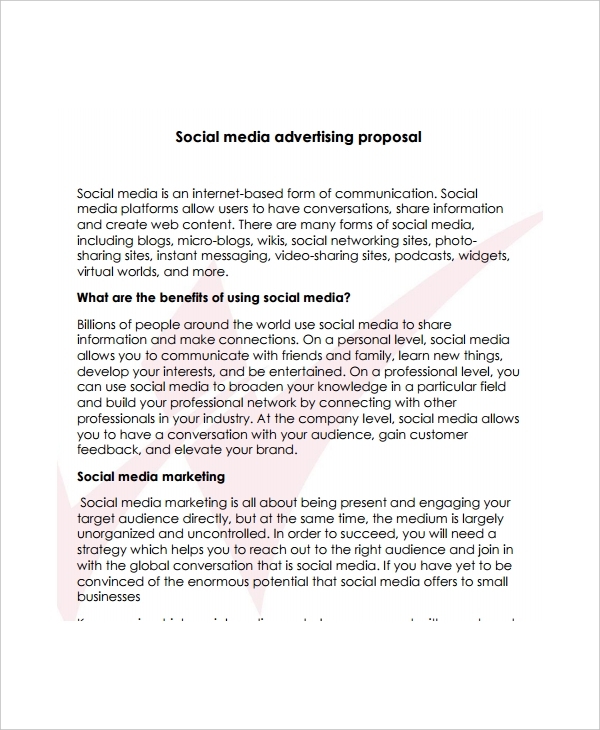 Aside from that, listed below are some tips that you can incorporate in the creation of your own advertising proposal. 2. 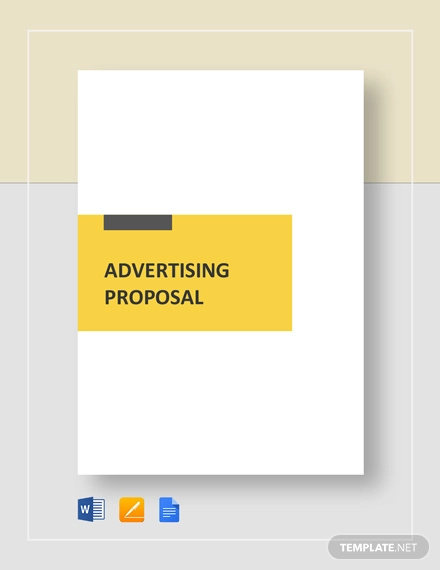 Make sure that you will review samples of existing advertising proposals that are used in the same industry. 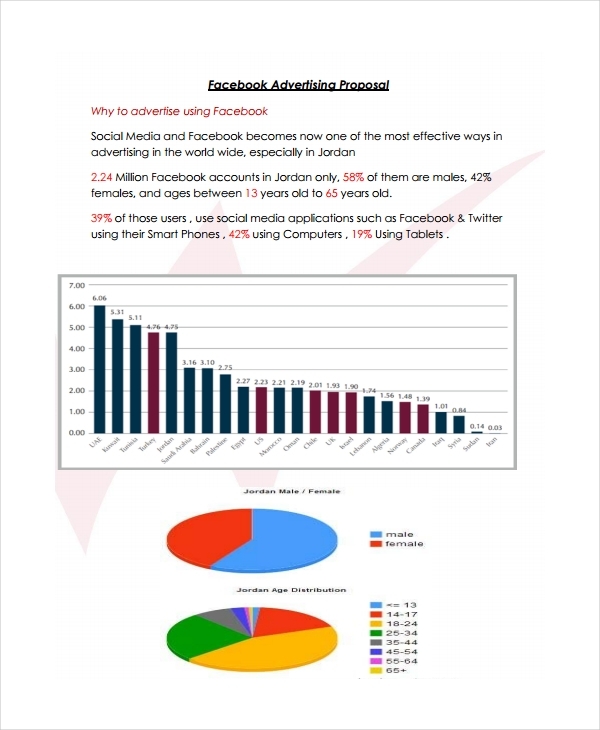 This will help you create an advertising proposal that is a total stand out from those that are used by your competition. 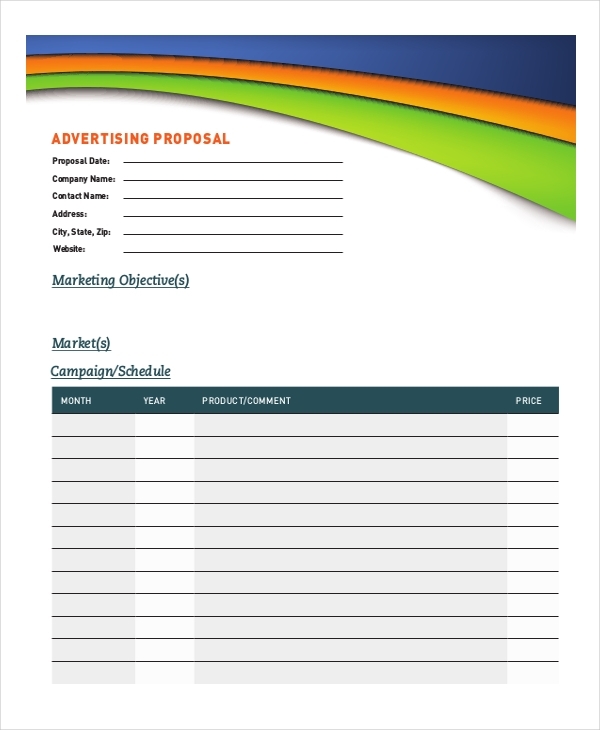 If you are a client who would like to request for an advertising proposal, ensure that you will create request for proposal examples that can already list down the items that you would like to know from the business who can potentially provide your advertising needs. 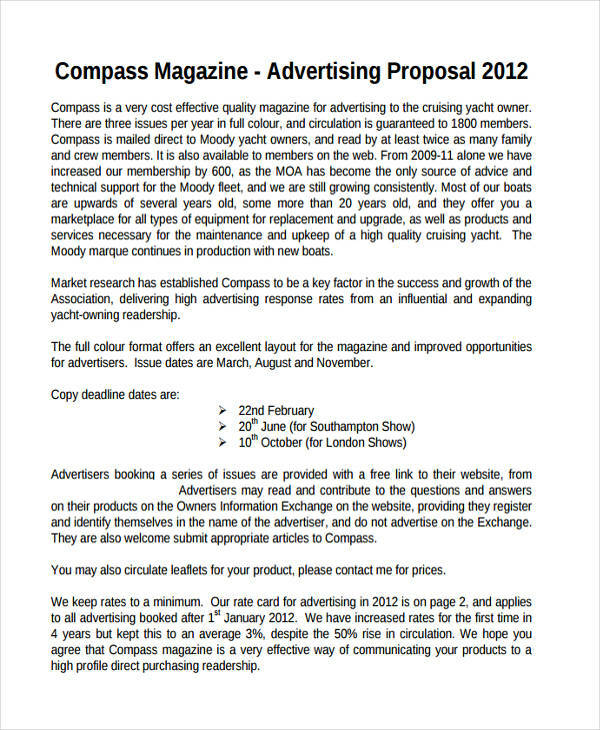 Planning to Create an Advertising Proposal Now? If you think that you can already make an advertising proposal, always remember to highlight not only your business but also what you can give to your customers or clients that your competitors could not. 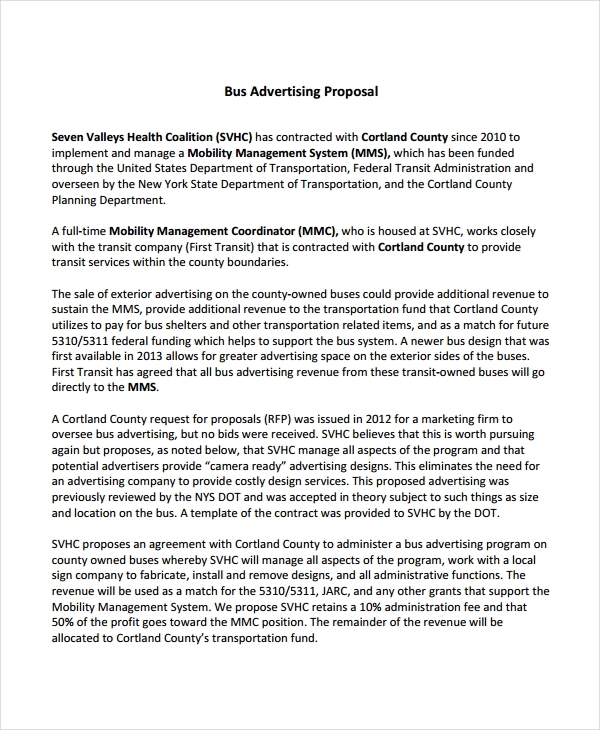 Even if an advertising proposal is not as complicated to create like investment proposal examples, you should still ensure that the proposal that you will end up with is effective. 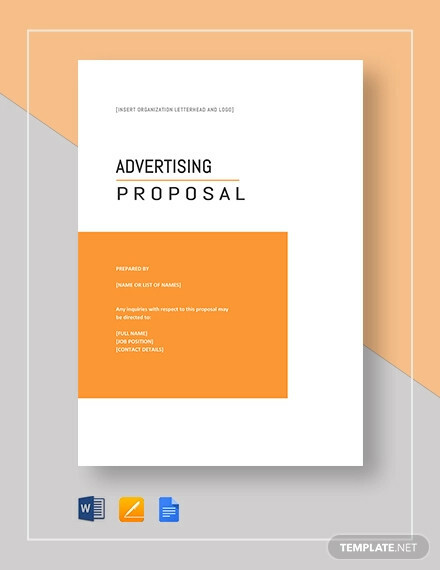 Similar to concept proposal examples & samples, advertising proposal can give a lot of benefits to your business if you can create it according to the needs of your clients and its relation to the expertise of your business. 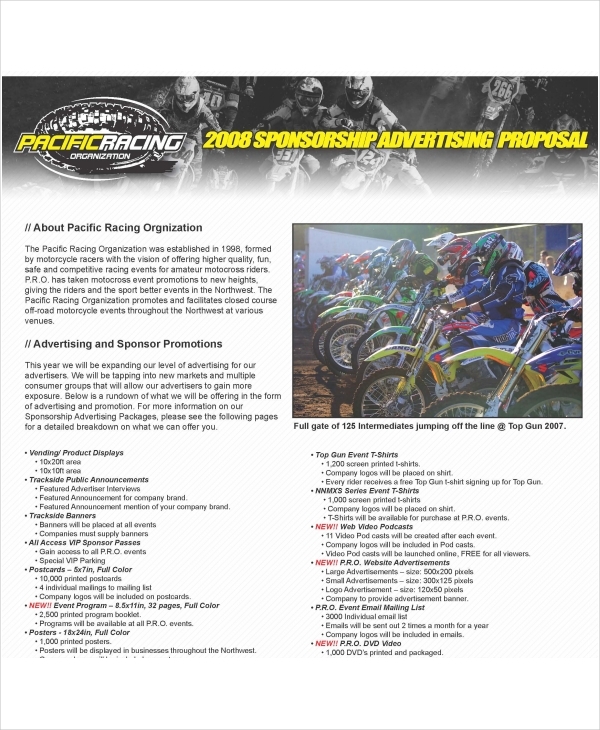 Try creating an advertising proposal now and see how it can help you close advertising deals.